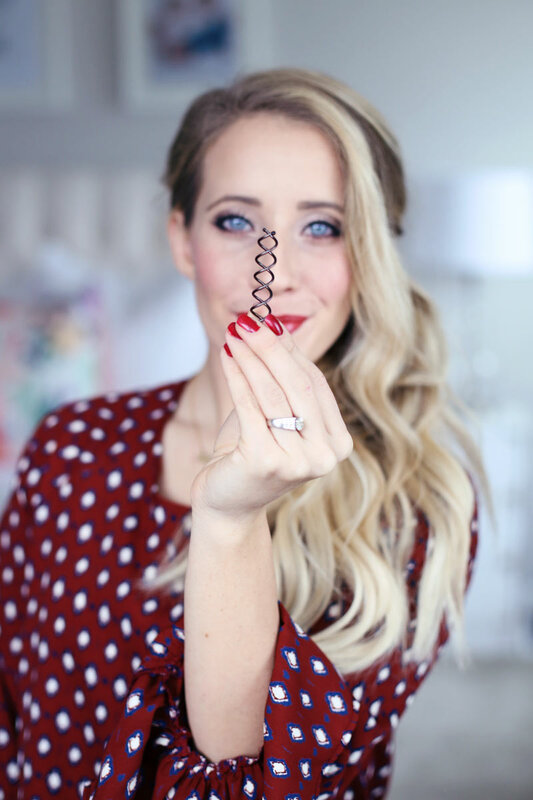 Holiday Hairstyles using the Goody Spin Pin! 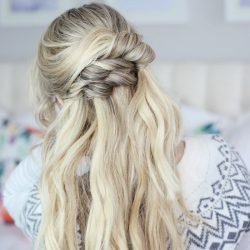 Are these hairstyles not gorgeous?! I’m so happy with how they turned out! I decided to try out Goody’s Spin Pins this morning and OH MY GOODNESS. Where have I been?! My life is officially changed. Have you ever heard of Spin Pins? Ever used them? I’ve seen them around, I think I even bought a package years ago for something, but never ended up using them. I’ve totally been missing out because they are amazing!!! 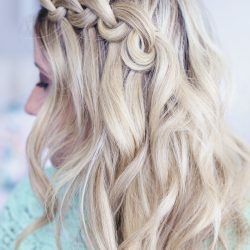 For these hairstyles, you’re going to start with texturized hair. I’d recommend curling it and/or spraying some texture spray all over to roughen up the strands. Giving the hair great texture to start is crucial to how the hair behaves when styling it! 1. 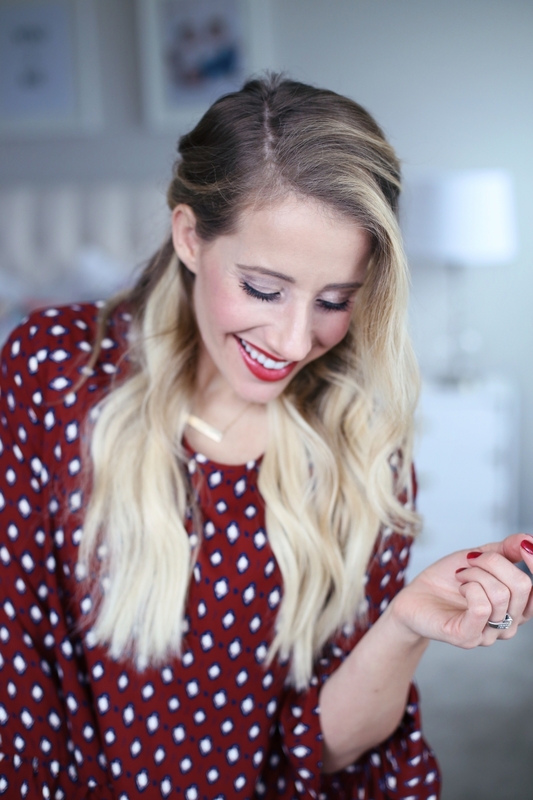 I’m brushing through my tangled curls with the Clean Radiance Paddle Brush from Goody. 2. Next, gather two sections of hair from the front. 3. Take one of the sections and twirl it away from your face. If you’d like, pull out a curl to frame your face. 4. 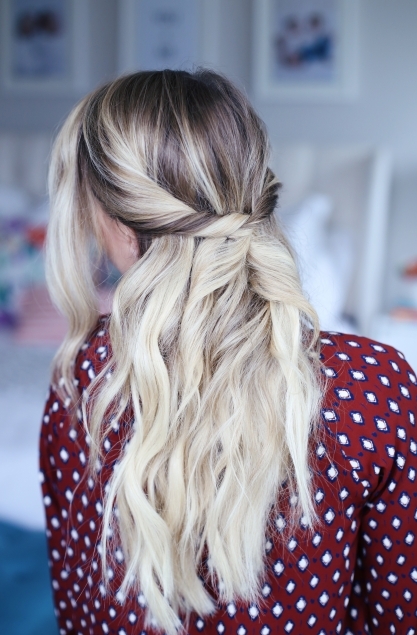 Drape that twist across the back of your crown. 5. Take the second section, and twist it back. 6. Drape it over the first section. It should look like a flat little X! 7. Take your spin pin. 8. Twist the spin pin into where the twists meet. 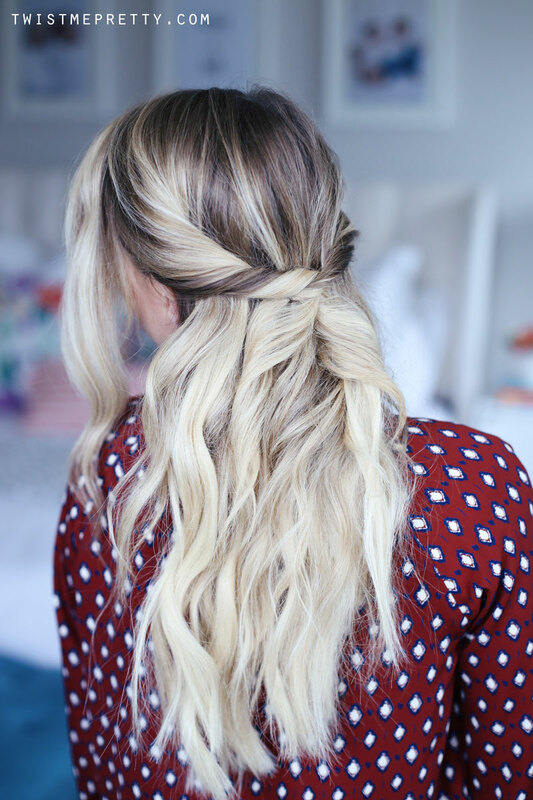 Go ahead and spray the style with hairspray, and you’re done! 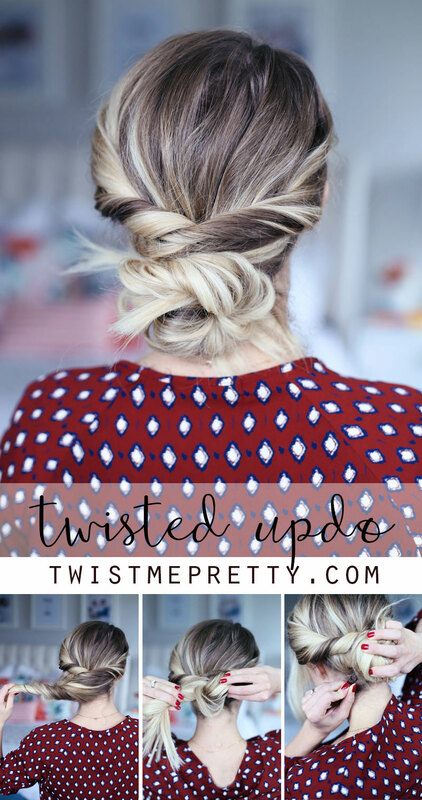 If you’d rather style an up-do, all you need to do is take the bottom section of curls, twist it towards your face, and then roll it up into a bun. Take your spin pin and pin the bun in place. 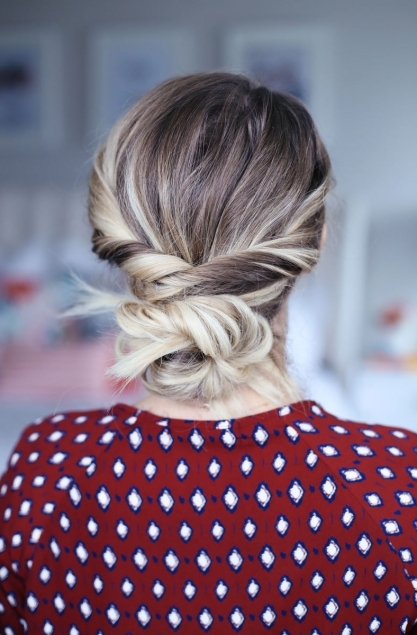 You’ll be SHOCKED that one little spin pin can hold this entire bun, and it’s completely secure. 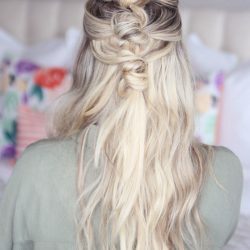 There’s no secret way to putting it in either: you place it where you’d normally place a bobby pin and then just twist it into the bun. 2 pins do the work of 20 bobby pins! 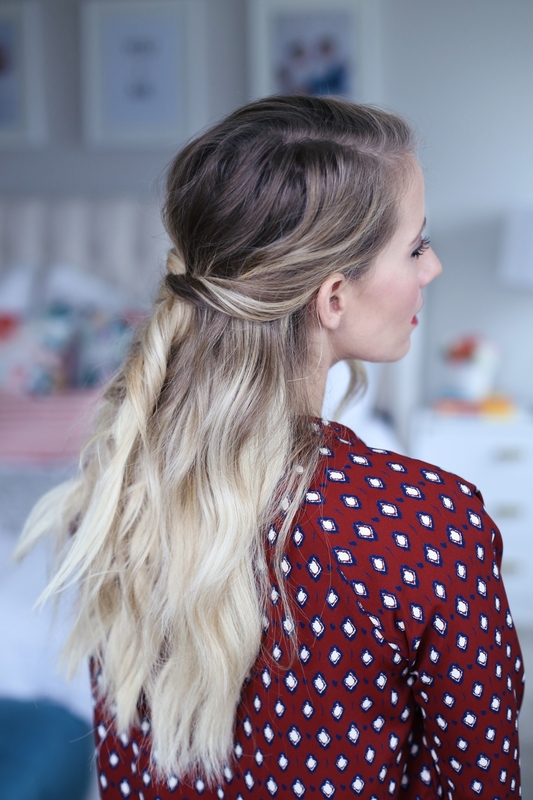 I hope you guys enjoyed these easy holiday hairstyles! If you’ve never tried a spin pin, I dare you to buy a package next time you’re at Target. Do it for me. I was so surprised at how easy they were to use! This post was made in collaboration with Goody, but all thoughts and opinions are my own!